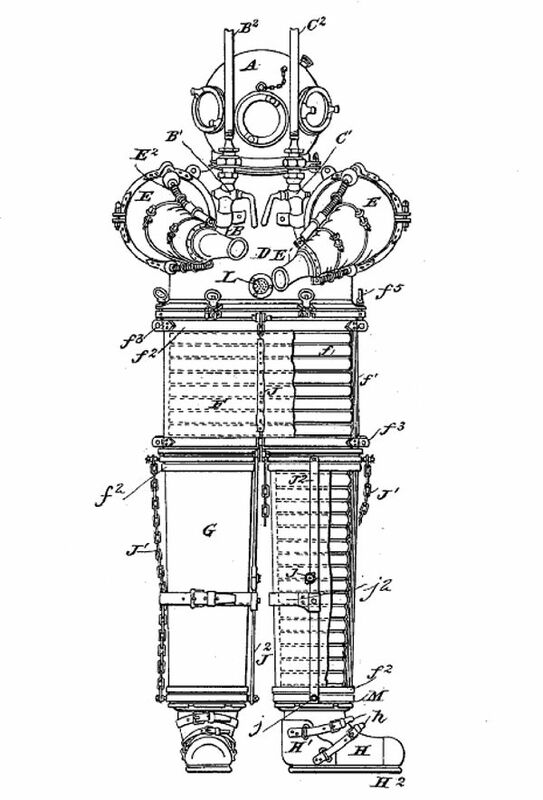 In 1894 Buchanan and Gordon patented a diving dress. 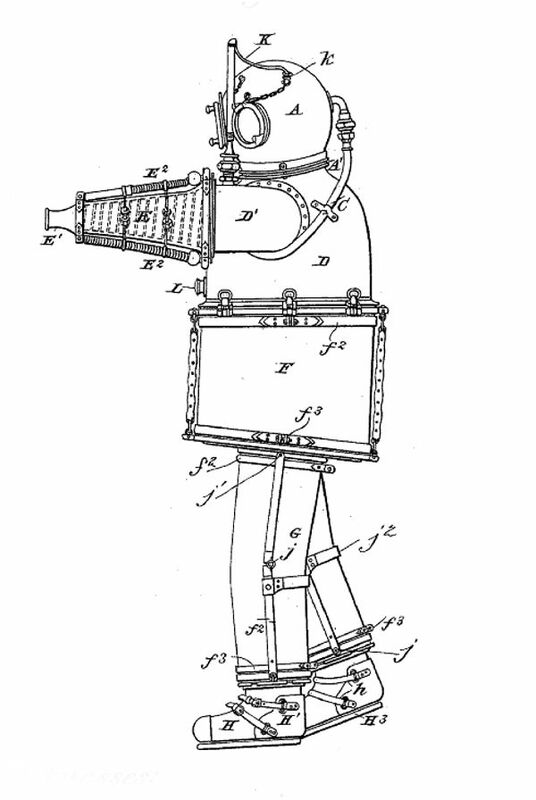 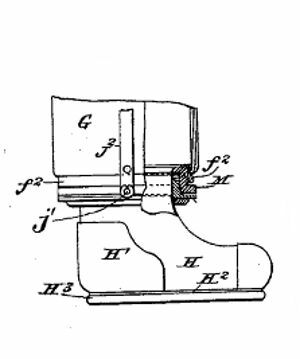 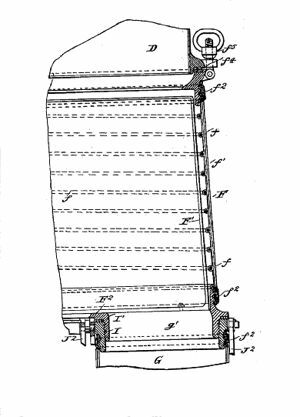 A later patent, taken out by Gordon alone, embodied various improvements in the fastening of the flexible material to the standing portions of the dress, such as the helmet; and it also provided for the use of jointed radius-rods running along the sleeves and trousers to prevent them from collapsing under pressure, while leaving them free to flex. 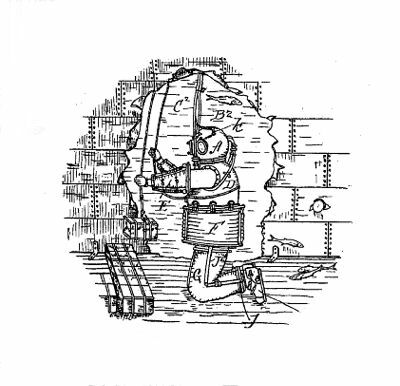 This was made in Siebe, Gorman & Co.’s old works in London in 1898. 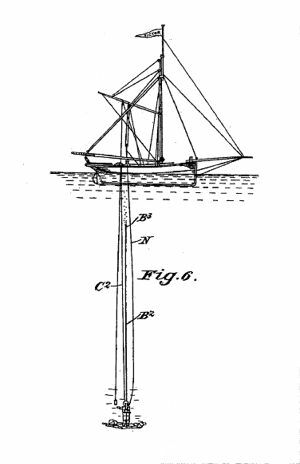 R.H. Davis was present at its trial off the Scottish coast.